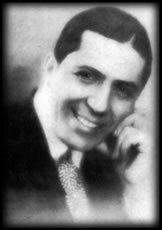 n Friday, March 24, 1933 at 10 pm, at the Teatro Nacional, Corrientes 960, was premiered the Ivo Pelay’s revue De Gabino a Gardel (From Gabino to Gardel) in which the top star of our song was featured along with Tito Lusiardo, Amanda Falcón, Ada Falcón’s sister, Rosa Catá, Domingo Conte, Francisco Alvarez, César Fraschi, Sara Prósperi and others. Scene 1: Our songs through the times. Scene 2: When a star of the genre started. Scene 3: The soul of our song. Scene 5: Those old cheap cafes! Scene 4: The first tango heroine. 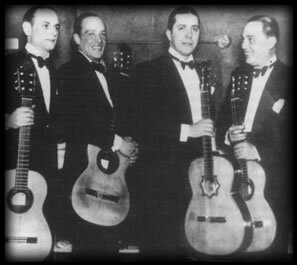 Scene 7: Gardel, tango in flesh and blood, the top figure of popular song, in his inimitable creations, accompanied by his guitarists Pettorossi, Barbieri, Riverol and Vivas. Here is when our genial artist had to appear. When he entered he was enthusiastically applauded and, later, César Fraschi announced that he would sing “Melodía de arrabal”. Thereafter followed: “Secreto”, “El carretero”, “Silencio”, “Al mundo le falta un tornillo”, “Mano a mano”. The audience showed their love and sympathy and forced him to several encores, confirming that Gardel was the main attraction of the opening night at the Nacional. The slander that took place around El Zorzal’s figure after the years has distorted the way in which things occurred. It was said that the play was a failure because the singer was no longer liked, but this is an alteration of the truth, a plain lie. It is evident, that Gardel’s performance was not the problem with the revue, but the play itself. The press unanimously considered it mediocre and, on the contrary, said that Gardel was the only worthy thing of the whole staging. And to clear out all the reader’s doubts and banish all the falsehoods spread about this issue we have to take into account the evidences of that time. «...But we agree that all that was of no interest for the audience, who went to the theater with the sole purpose of listening to Carlos Gardel and because of that, bore the first scenes». (La Vanguardia, March 25, 1933). «...All the expectations and interest of the public was focused, then, on this popular and nice singer. People were there because of him, for him was the applause and the excitement of the audience». (Última Hora, March 25, 1933). «...And this justified as ever the fact that the aisles of the main floor were obstructed by nosey guys and the upper seats were crowded by admirers. In the people’s powerful rumor was perceived the nervousness of an important waiting: Gardel». (Crítica, march 25, 1933). And, on the same date, referring to the numbers presented: «The audience let them pass with the indifference they deserved and only was enthusiastic when Carlos Gardel appeared. It is regrettable that a star like Gardel is presented to our spectators in a framework that would not be worthy even for a neighborhood amateur singer». «...The presence of this artist, as we have said above, was the most outstanding thing of yesterday’s evening at the Nacional. His reappearance has served to establish his capabilities as undisputed interpreter of the national folk music, highlighting his best vocal facilities and the sentimental mood with which Gardel says the typical native song». (La Nación, March 25, 1933). «...The audience expressed warm demonstrations which were eloquent evidences of sympathy and admiration for him». (El Mundo, March 27, 1933). After reading so much eloquent reviews, which are undoubted testimonial documents, it had to be cleared out, once and for all, that Carlos Gardel was not to blame if the play did not satisfy the expectations but it was thanks to him that people went to see it.